14 Şubat 2019 Perşembe 14:01 - 5 reads. 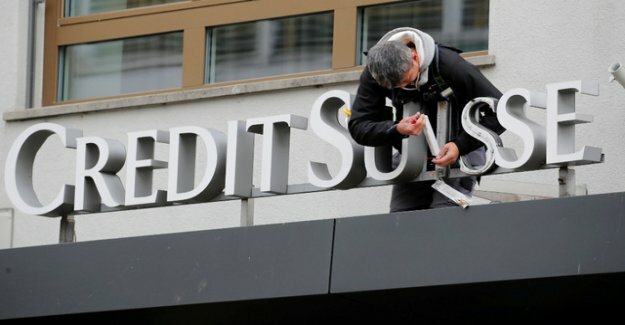 The Credit Suisse has made in the past year, for the first time since 2014 profit. The fourth quarter was, however, that like the competition is very difficult and characterised by the volatility and low client activity. In fiscal year 2018, the big Bank reported a net profit of 2.06 billion after a loss of 983 million Swiss francs in the previous year. In the previous three years was due to various special factors, respectively, to losses of billions. In the fourth quarter of 2018, the big Bank reported a net profit of 292 million Swiss francs, following a loss of 2.13 billion francs in the previous year. At the time, high impairment charges were pressed because of the US tax reform by Donald Trump, the result clearly in the red. revenues were in the fourth quarter, with 4,80 billion Swiss francs lower than in the previous year. In the case of a decline in operating expenses of 4.11 billion, a ratio of cost to income (Cost/Income Ratio) of 85.6 percent. This means that the Bank gives for each taken in Swiss francs, not the whole 86 centimes. With the winning numbers, Credit Suisse has exceeded the market expectations. From the news Agency Reuters surveyed analysts had expected for the fourth quarter of a pre-tax profit of 363 million and a net profit of 214 million. The Bank's fins in the fourth quarter, Net new money in the amount of only 0.5 billion Swiss francs, compared with 16.6 billion in the third quarter. The assets under management were reported as of the end of December 2018, with 1'347 billion Swiss francs, or almost 60 billion lower than at the end of September. After the difficult fourth quarter of 2018, and a particularly difficult December have been set in the current year, an improvement is it from the Bank. "After signed in the first six weeks of the year 2019, a normalization, is the trading environment is now no longer as unfavourable as in the fourth quarter of 2018, but still more difficult than in the first quarter of 2018." in view of the concerns about a Government shutdown in the United States, the trade war between the US and China, as well as the Brexit, the further development was associated in the current year, with high uncertainty, said the Bank.